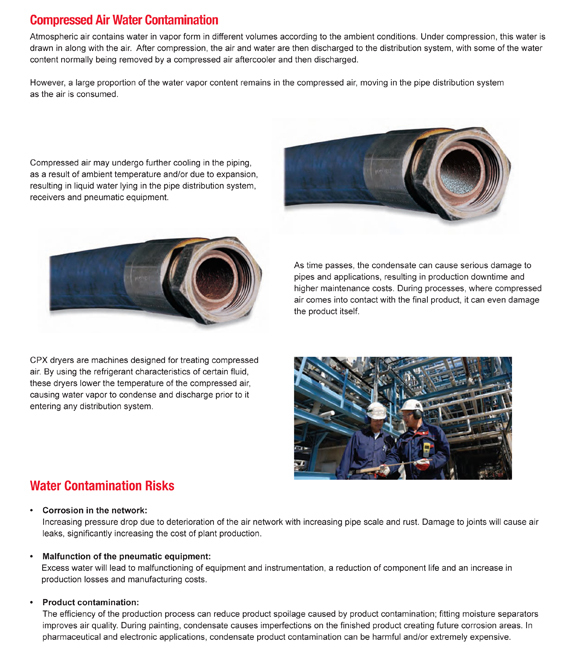 With a maximum inlet temperature of 180°F, no aftercooler is required. Included filtration eliminates dirt and oil giving you clean, dry compressed air. 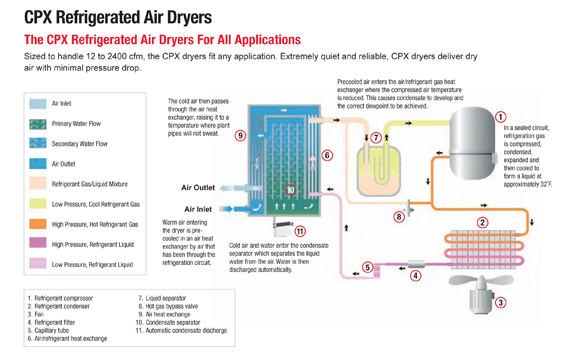 The dryers are easy to install and have a compact design. Supplied with 115 Volt power means no special wiring is required and the space saving design incorporates an air cooled aftercooler, refrigerated air dryer, moisture separator, electronic water drain and coalescing filter. Refrigerated non-cycling, high temperature and heatless desiccant dryers shall be warranted for twelve (12) months from date of start-up or eighteen (18) months from date of shipment from the factory, whichever occurs first, to include parts and labor. Parts shall be warranted for ninety (90) days from installation or for the remainder of the warranty on the product being repaired, whichever is longer. Seller requires that all warranty service work be authorized prior to a service call for all claims. Parts should be taken to every service call to take care of the problem in one trip. Seller does not reimburse trouble-shooting. Notice of alleged defect must be given to Seller in writing with all identifying details including serial number, model number, equipment type and date of purchase, within thirty (30) days of discovery of defect during the warranty period. Seller’s sole obligation on this warranty shall be, at its option, to repair, replace or refund the purchase price of any product or part which proves to be defective. If requested by Seller, such product or part thereof must be promptly returned to Seller, freight collect for inspection.